Submitted by Simon Coleman on Sun, 22 Feb 2015 - 14:19. 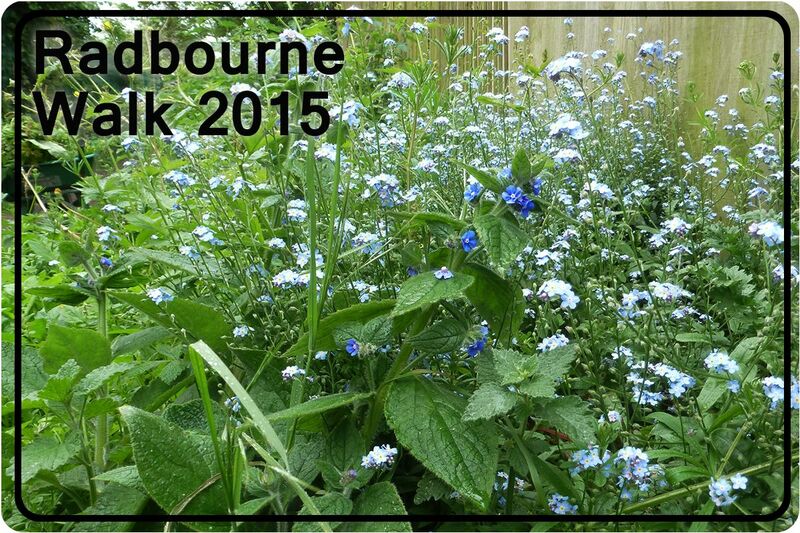 Our plans for the Radbourne walk for 2015 were expanded from our early goals in 2014. This was due to a potential grant from Transform your space. We came third in the TYS listings and have the potential for some money from this project. We will be working on raising crowdsourcing money in 2015. In 2014 we held regular volunteer days and worked, section by section removing rubble, glass and rubbish from the walk. We cleared two skips worth of rubbish, now the "clean up" has been completed. As we no longer need to dig up the planting areas it has been enjoyable to see the plant species growing to their full potential. There is now a need for regular maintenance and specific tasks and so little and often is our goal. Continued Local native plants introduction, sourcing more local native species that dont exisit in the walk at present. Basic plant management, like stinging nettle reduction and bramble cutting that comes through from the allotments. We added four native biennial species Wild foxglove, Weld, Great Mullein and Viper's Bugloss they will come up at different time during the year, these are added as feature plants giving a splash of colour and height to the walk. Poppies and Corn flower, these annuals have again been seeded and there has been a good growth of poppies which should be flowering from June onwards. English Bluebells and Snowdrops we added in 2014 and we saw them flower in early 2015, as time goes by we hope they will spread and give a good show in early spring. Some species that have "come up" in the walk by themselves some not true natives but possible allotment or garden escapes, Red Campion, Honesty, Oxe-eye Daisy. I will leave these species to add variety to the walk. You can email us at volunteer@ealingdean.co.uk if you would like to be notified about more details regarding the Radbourne Walk.